Until now, Wenderson Galeno has been present in 19 games. He prefers to play with his right foot, as do 65% of his teammates. 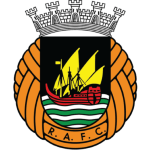 These days, his team Rio Ave FC comes fourth place in group Gr. 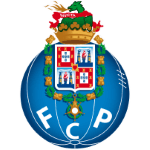 A of League Cup (Portugal) plus tenth place in Primeira Liga (Portugal). The 21-year-old Wenderson Galeno was born on October 22, 1997 and is therefore four years younger than his team's average age. In July 2018, Portuguese forward Wenderson Galeno joined Rio Ave FC (Portugal), whom he is still playing for. Measuring 182cm, Rio Ave FC's average player height matches the one of Wenderson Galeno. He impressed in Segunda Liga 16/17 (Portugal), reaching his personal record of match appearances as well as goals. The longest period that he stayed in a team was two years and 7 months in FC Porto B (Portugal) Wenderson Galeno received the number 90 tricot at Rio Ave FC. Ever since Wenderson Galeno became a professional, he has been committed to overall four clubs. He is playing as forward in Rio Ave FC together with Bruno Moreira, Ronan Jeronimo, Andre Ricardo Ferreira Schutte, Gelson Dala, Murilo Freitas, Gabrielzinho, Vinicius, Jose Postiga and Nuno Santos. 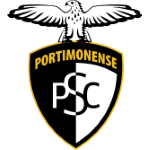 The briefest time his spent on a team counts five months in Portimonense SC (Portugal). In the recent term, Wenderson Galeno managed to find the net seven times and provided five times additional assists which accounts for 50% of Rio Ave FC's goals in League Cup 18/19 (Portugal). He scored an average of 0.4 goals and provided 0.3 assists per game so far, marking a improved performance when compared to last season, when he had 0.2 strikes and 0.3 assists per match. To date, collectively he holds ten penalties. Lately, he seems to be more quiet since less penalties were given to him than usually. So far this season, he lost 67% in League Cup and lost 60% of Rio Ave FC's matches in Primeira Liga. Unfortunately they did not manage to wrap up a single fixture, but at least tied twice. Altogether, Wenderson Galeno was substituted in 24 and out 25 times. Currently, he entered the pit more than he left it which holds true for last season as well. He also plays for FC Porto. Before joining Rio Ave FC, he impressed at FC Porto and Portimonense SC. From his professional start until now, Wenderson Galeno has performed in 83 matches in total and hindermost appeared eleven days ago. He weighs 72kg which is 3kg less than his team's average heftiness.